Now, researchers at KTH Royal Institute of Technology in Stockholm have targeted optical beam-steering—a major component of LIDAR—and successfully created a device that is considerably lighter, more cost-effective to develop, and also more resource-efficient when compared to earlier versions of the technology. This development could hold major implications for smaller autonomous craft like robots and drones, and help allow more improved profitability in the vehicle sector. However, existing LIDAR technology weighs around one kilo, costs thousands of dollars, and uses several watts of power. Now, KTH Royal Institute of Technology in Stockholm is developing the latest version of LIDAR that is in a different league altogether. According to Carlos Errando-Herranz, a postdoc in the Division of Micro and Nanosystems, the new version of LIDAR would cost approximately USD 10 each considering huge production volumes, consume about 100 mW, and weigh just a few grams (including peripheral equipment). The study has been reported in the journal Optics Letters. According to Errando-Herranz, the compact beam‏-steering device determines about 100 µm, and can be most optimally observed under a microscope. We use the same production techniques as for manufacturing accelerometers and gyroscopes for smartphones. This means the costs can be really low on large volumes. The technology can allow more craft, like drones or robots, to be self-driving or self-flying for instance, stated Errando-Herranz. The development may also remove the necessity for remote control on drones that are specifically made to transport emergency medical equipment, like defibrillators, to distant locations, stated Kristinn B. Gylfason, Associate Professor at KTH. Robots and drones are absolutely possible application areas. Current lidar systems are also too expensive for self-driving cars. The vehicle industry is very cost sensitive. Other possibilities are facial recognition for smartphones, such as Apple’s Face ID. One major difference with the KTH method to LIDAR is that it utilizes micro-electromechanical optical beam steering. A traditional lidar is based on mounting an array of lasers on a rotating tower, like the Velodyne puck. 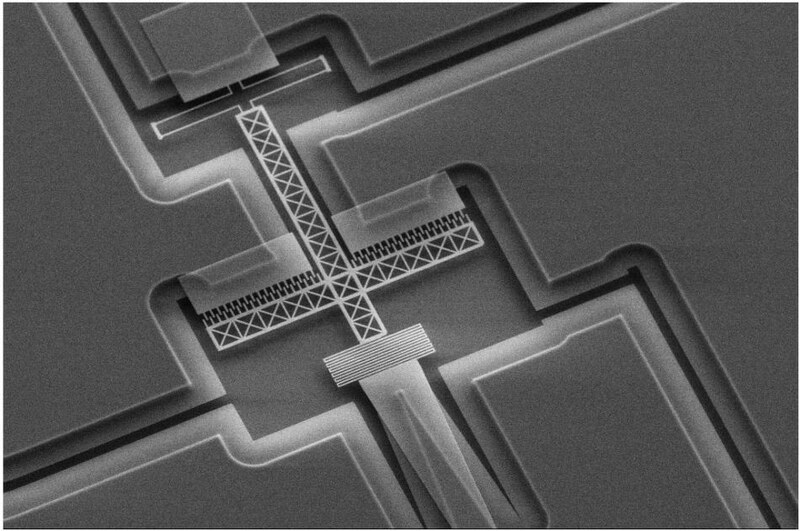 Our approach to lidar is based on integrated micro-opto-mechanics, where we have built a tunable grating into the surface of a silicon chip. By modifying the grating period, we decide in which direction the beam should sweep. Moreover, optical beam steering can be employed for 3D imaging in medical diagnostics, using a method called optical coherence tomography. With the help of this compact technology, a scanner can be inserted within the body at the time of keyhole surgery and can be used for detecting variations in tissues. The global market is witnessing a significant growth due to the increasing use of unmanned aerial vehicles in various applications and increasing adoption of LiDAR in engineering and construction applications.